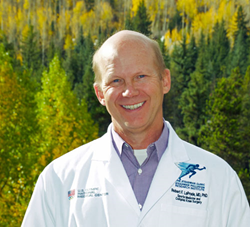 As a top knee surgeon at The Steadman Clinic in Vail, Colorado, Dr. LaPrade was nominated by his peers as a physician establishing, leading and partnering with ambulatory surgery centers. Dr. LaPrade is on the forefront of innovative surgical techniques. He is one of the top knee surgeons in the world to treat posterior cruciate ligament (PCL) tears and posterolateral knee injuries. Vail knee specialist Robert LaPrade, MD, PhD was named one of 164 ASC Industry Physician Leaders to Know in 2016. The list consists of physicians establishing, leading and partnering with ambulatory surgery centers across the United States. Healthcare leaders nominated physicians to establish this list. An Ambulatory Surgery Center, also known as an ASC, is a modern health care facility focused on providing same-day surgical care, including diagnostic and preventive procedures. ASCs have changed the outpatient experience for millions of patients by providing them with a more convenient alternative to hospital-based outpatient procedures. As a Vail knee specialist at The Steadman Clinic, Dr. LaPrade is dedicated to orthopedic research, innovative care and clinical excellence. Dr. LaPrade has published over 250 peer-reviewed articles. To date, there are only a few clinicians, scientists and surgeons who have reached 250 peer-reviewed publications in sports medicine. Many of the current anatomic-based knee reconstructions used around the world were designed and tested based upon Dr. LaPrade’s research. Vitals.com has recognized Dr. LaPrade with the 5th anniversary of the “Patients Choice Award” and “Compassionate Doctor Award”. The “Patients Choice Award” is a recognition that reflects the difference a physician has made in the lives of his/her patients. Only 1% of all doctors in the United States are awarded the 5-year “Patients Choice Award”. The “Compassionate Doctor Award” is granted based on a physician’s excellent bedside manner. Lars Engebretsen, MD, PhD, Professor at the Department of Orthopaedic Surgery Oslo University Hospital and a Faculty of Medicine University of Oslo said, “I have worked with Dr. LaPrade since his days in Galveston, Texas and then in Minnesota, Oslo and Vail. He has been an extremely good surgeon, clinician, researcher as well as a true friend. I hope our collaboration will last for many more years." Top knee surgeon Dr. Robert LaPrade is the Chief Medical Officer, Co-Director of Sports Medicine Fellowship and Director of International Research Scholar Program at the Steadman Philippon Research Institute in Vail, Colorado. Dr. LaPrade is also on the Governing Board of the Vail Valley Surgery Center.